as we say goodbye to one of the legends of the game, i can’t help but hope the door hits him on the way out. Ever since the rumors of his imminent retirement in the early portion of the week, I’ve toiled in vain to write the perfect opus for Sir Alex’s career. Yet with all that is being penned on the great Scotsman in the time since, it’s been hard to find not only a unique angle… but also an appropriate way to express my feelings towards Ol’ Red Nose. On one hand, I have mountains of respect for a man that’s won more titles than entire leagues of clubs combined, has managed to adapt his game several times over to match the prevailing playing styles of the time, and has corralled egos larger than your average Walmart Super Center. On the other hand, I hate Fergie for his influence over the FA, the fear he invokes in referees, and the times he’s pried away Tottenham’s best players. So since I’ve been unable to tap out an appropriate homage to the greatest manager I’ll likely ever see, I’ll do the next best thing and link to the best piece I’ve read about him so far. And that’s how I’m starting off the latest edition of TWOL. Fair well, Fergie. 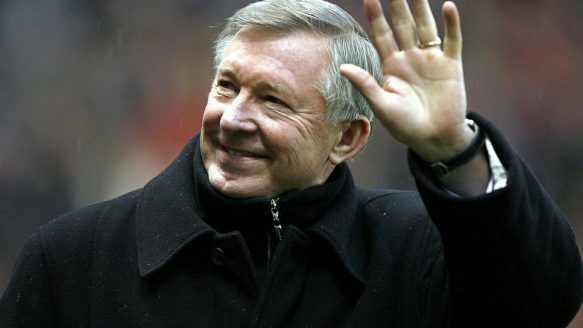 Here’s hoping you have a long and lovely retirement… and that Moyes drives United to hell in you absence. American soccer re-imagined… a familiar design for Over-the-Rhine.